Eid is a Muslim holiday that is celebrated twice a year, marking the end of Ramadan (Islamic holy month of fasting) and the holy event of Haj. Eids are celebrated by the Muslims all over the globe but the traditions vary from country to country. However, the food remains the central to the Eid celebrations almost everywhere, frequently in the form of elaborate family feasts. There are many ways to make Vermicelli noodles or Seviyan. However, the Vermicelli noodles prepared with condensed milk is considered as the most delicious one. This Seviyan Recipe with Condensed Milk is simple and easy to make. 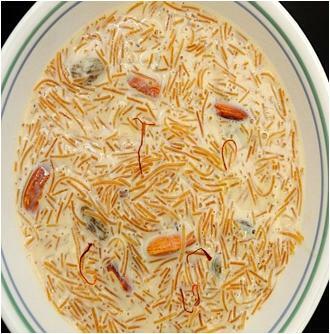 This Traditional Sheer Khurma Recipe takes no time to make and is scrumptious as well. Eid day, especially Eid ul Fitr is incomplete without Sheer Khurma. 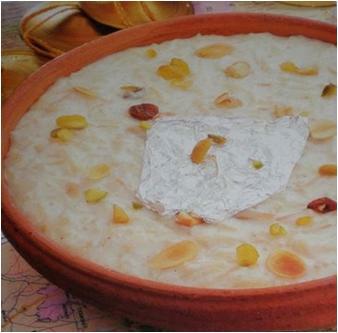 Kheer is one among the traditional sweet dishes to celebrate Eid. 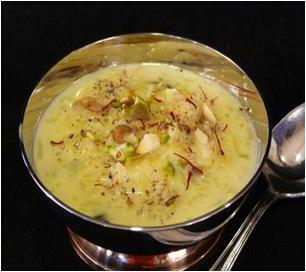 Try Quick & Easy Kheer Recipe at home and enjoy it with your family members and Eid guests. Cake Balls: Make some delicious Cake Balls, which are chocolate rich and yummy. Red Velvet Cup Cakes: Red Velvet Cupcakes are not only appetizing treats but attention-grabbing as well. Make them few hours ahead of serving time. Rainbow Cake: Common cakes are easily available in the bakeries and known to everyone. 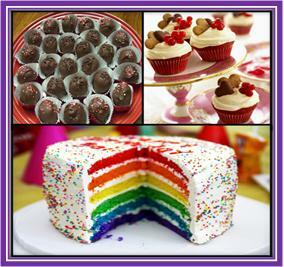 Therefore, be creative and surprise your guests and family member with a beautiful rainbow cake.